Newswatch: What if there were no BBC? It is an argument that is continually raised, that the licence fee be abolished and the BBC should be self funded. Many people feel aggrieved at forking out nearly £150 a year which primarily funds the BBC, and which they claim they do not watch. But at at less than £12 a month the BBC offers far greater value than many might think. It may be true that a significant number of individuals do not watch BBC television, listen to BBC radio or use its online web services. Nonetheless despite a drop in viewers, the BBC still pulls in an audience share of more than 30%. Furthermore abolishing the licence fee might have a far more dramatic effect than critics foresee. The TV licence fee also funds other services and activities such as local and national radio, online services, the World Service and S4C. And should there be no BBC television and no licence fee, these other services would probably need to be cut or alternative funding be found. That might not be an issue to some individuals who claim they never use BBC iPlayer, check out news content on the BBC website, or ever listen to BBC World Service. This is a valid claim. But the effect of removing the BBC from the equation would likely change the whole nature of broadcasting, not only in the UK, but around the world. One independent report [What if there were no BBC TV - Reuters Institute], published in early 2014, concludes that if there were no BBC Television the total TV industry revenue would most likely be lower, although there is a wide range of uncertainty about how much. The report points to a significant reduction in content investment of between 5% and 25%. Investment in first-run UK content would also be 25% to 50% lower. And the net impact on viewers would vary, but most would suffer a reduction in both choice and value for money. Even where many people opt for alternatives to the BBC, such as ITV, Channel 4, Channel 5 and subscription services on the Sky broadcast platform, quality content might well take a dive. Indeed, the BBC has often set standards and influenced independent programme makers. The BBC has taken chances and pioneered programmes which no commercial broadcaster would risk making. It is almost unimaginable that such classics as Monty Python's Flying Circus, Not the Nine O'Clock News and Fawlty Towers would have been made by ITV, which was the only alternative at the time. 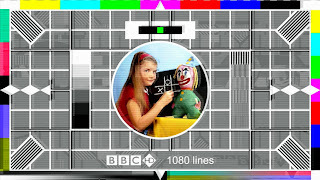 Of course it is no longer the 1970's, when the only choice was to watch BBC One, BBC Two or ITV. Now there are countless television channels. And even if one is not prepared to pay additional subscriptions on top of the BBC licence fee, there is a much greater choice. But what kind of choice really exists in terms of quality broadcasting? The BBC still churns out high quality documentaries that are the envy of broadcasters around the world. These are indeed sold overseas, but without such sales the licence fee would be significantly higher than it is. Yes, there are specialist documentary channels and independent documentary filmmakers. Certainly the Discovery Channel and National Geographic both have relatively high reputations. But does their content really stand above that made by the BBC, funded almost entirely by the licence fee and overseas sales? From the World About Us to The Planets, Walking With Dinosaurs and The Blue Planet, the BBC excels itself again and again. It's not just documentary either. The BBC has brought timeless classics when it comes to comedy. While Channel Four has brought innovative content, there are few broadcasters which can rival the BBC when it comes to Sitcoms and satirical comedy shows. Taste is of course subjective but here's a list of but a few. Steptoe and Son, It Ain't Half Hot Mum, Some Mothers Do Have 'Em, Are You Being Served, Butterflies, Fawlty Towers, The Good Life, The Young Ones, Bottom, Red Dwarf, Only Fools And Horses, The Thick of It, Yes Minister, Yes Prime Minister, Absolutely Fabulous… the list is almost endless. OK, but there's a lot of dross on the BBC too, the critics might argue. This might very well be true. The BBC, being a public service broadcaster has to cater for everyone. Thus there is a plethora of programmes which could be considered banale. The BBC produces many shows which are certainly beneath the standards of many. But nonetheless soaps like Eastenders and the likes of Strictly Come Dancing are extremely popular. But with the advent of BBC Three and BBC Four there is an outlet for more intellectually challenging programming or programmes that might only appeal to a minority audience. In fact, minority audiences are rarely catered for at all on commercial television since it is simply not commercially viable. Can you imagine the Sky at Night running for as many years on ITV? Then there's News and Current Affairs. For many years there was just the BBC and ITN but with the advent of satellite television Sky News changed the game. And what too of radio. Radio 4 and the BBC World Service still command a large audience, though it perhaps has to be conceded that Radio 1, 2 and 3 are rather niche stations. One may not be a big radio fan, but when away from home, radio can be a life saver. What is noticeable however is that outside of London, or other big cities, radio stations rapidly disappear from the dial. One might find a local independent station, but one is more likely to be reliant on national and local BBC stations. And when abroad the only English voice available will probably only come through the BBC World Service, though cutbacks have already reduced services abroad. The likes of Nigel Farage have repeated accusations that the BBC is left wing and politically biased. He has also labelled the broadcaster an anachronism and would, should he have it his way, shut the broadcaster down or at least remove its public funding [BBC]. It is a question that may not go away. But should the licence fee be dropped, the BBC might become little more than one or two channels, reliant on advertising and programme sales. BBC radio would probably fade away into non-existence and web services would also see cutbacks. This week the outgoing controller of drama commissioning, Ben Stephenson, said the broadcaster was at a "tipping point" and that cuts to the licence fee would mean "less drama and fewer jobs" [BBC]. In the days following the election there has been much talk of the Tories going to war against the BBC [Telegraph]. The former Culture Secretary Sajid Javid has rejected the idea the government was really "going to war". "No not at all. I think there's a bit of over excitement in those headlines," Javid was said on the BBC Radio 4 programme Today. Nonetheless there are growing concerns that with negotiations for the BBC's charter renewal in 2016, the public broadcaster might face serious cutbacks. Such concerns come particularly from outside the home counties. Indeed one former top TV executive has said any plan to drop the BBC licence fee would have enormous consequences for the North East. Graeme Thompson, a former BBC news executive who also was managing director of Tyne Tees TV, recently said, "If the licence fee was abolished it would hit jobs" and leave a vacuum that the commercial sector would be unlikely to fill [Chronicle Live]. Funding is certain to change. In fact there is a possibility that funding may be taken directly as taxes as is seen in some European countries [Radio Times]. To end on a slightly comical note, here's a clip from Not The Nine O'Clock News which satirizes the BBC programme Points of View and features letters of viewers singing the praises of the BBC. 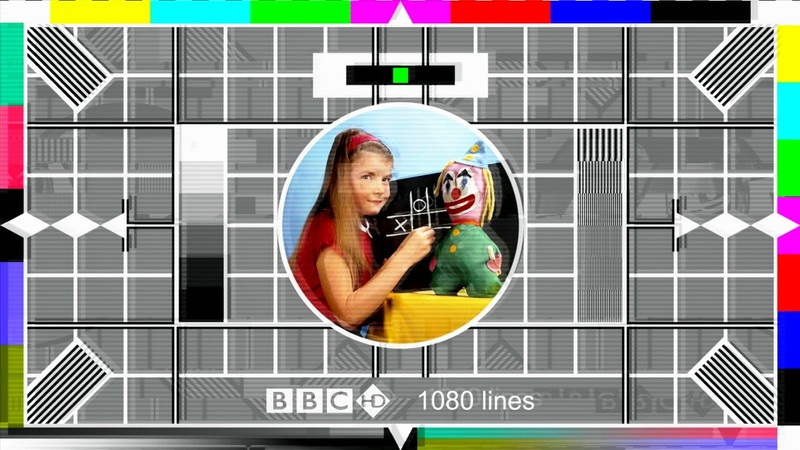 To quote but one fictitious letter writer in the sketch, he writes, "The testcard is quite magnificent. It justifies the licence fee on its own. Personally, I would willingly sell my house and all its contents to help the BBC." The irony is that without the licence fee, that is just what one might be left with.